In this podcast interview, the director of the cop thriller "We Own the Night" explains that there's more to his movie than meets the eye. To listen to a podcast of the interview, click here. James Gray is a strange figure in the film world, a director who has made just three features over the last 13 years, all of them seemingly old-fashioned, straightforward genre narratives with a kind of dark undertow. You couldn't call Gray a cult hero because he simply isn't obscure enough for that, but at the same time his efforts to make "popcorn, pulpy" movies possessed of moral seriousness and intellectual depth make him unlike any other working director I can think of (this side of Martin Scorsese). 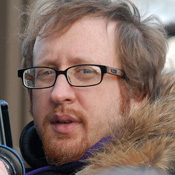 I spoke with James Gray last week over lunch in a New York restaurant.